The whole story is pretty complicated, but basically, Farrow was married to Sinatra for two years and the two had no children together — or so we thought. She then married composer Andre Previn, with whom she had three biological children and three adopted children, including Soon-Yi. After Farrow and Previn divorced, she began a 12-year relationship with Allen, and the two adopted two children and had Ronan. That relationship had what might be the most awkward and disturbing break-up ever, when Farrow discovered that Allen had a relationship with her daughter, Soon-Yi. In the custody battle that followed the end of their relationship, Farrow accused Allen of molesting their adopted daughter Dylan, a claim that Allen still denies and which has never been proven. As if all of that wasn't enough, now there's this new possibility: Ronan is actually Sinatra's son. Farrow says that the deceased singer was the love of her life, and the two "never really split up." Though there's never been a paternity test, Farrow says that it's possible that Sinatra is really Ronan's father. Even Nancy Sinatra, Jr., Frank Sinatra's daughter, knows it is possible, and confirmed that the Sinatras have always treated him as part of the family, saying, "He is a big part of us, and we are blessed to have him in our lives." There may not be a DNA test, but we can try using the low-tech version — who does Ronan look like? Here's the 25-year-old Ronan. Possible father No. 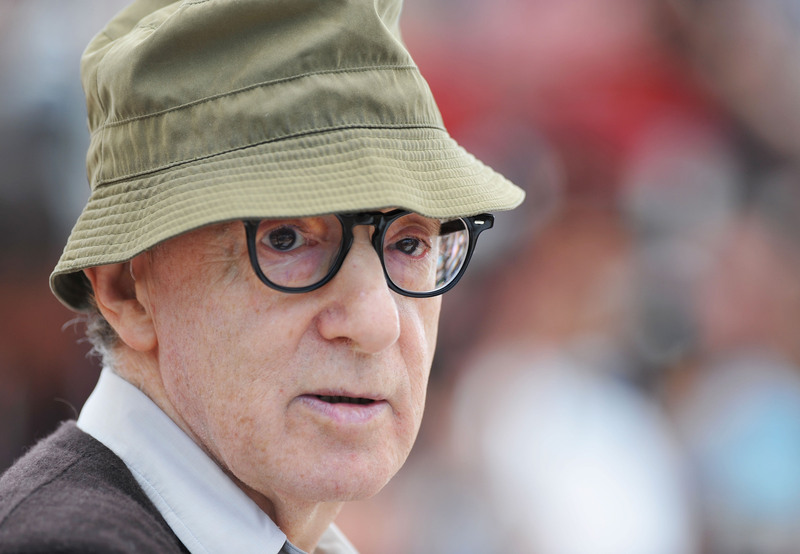 1, Woody Allen. And possible father No. 2, Frank Sinatra. I'm no expert, but I might have to go with Sinatra on this one. And considering that Ronan no longer speaks to Allen, I think he'd prefer it that way. Your movie, Maury.